Our busy Liverpool office has a vacancy for a highly motivated and experienced Architectural Technician/ Technologist or a technical Part 2 Architectural Assistant. See the image below or our Recruitment page for more information! 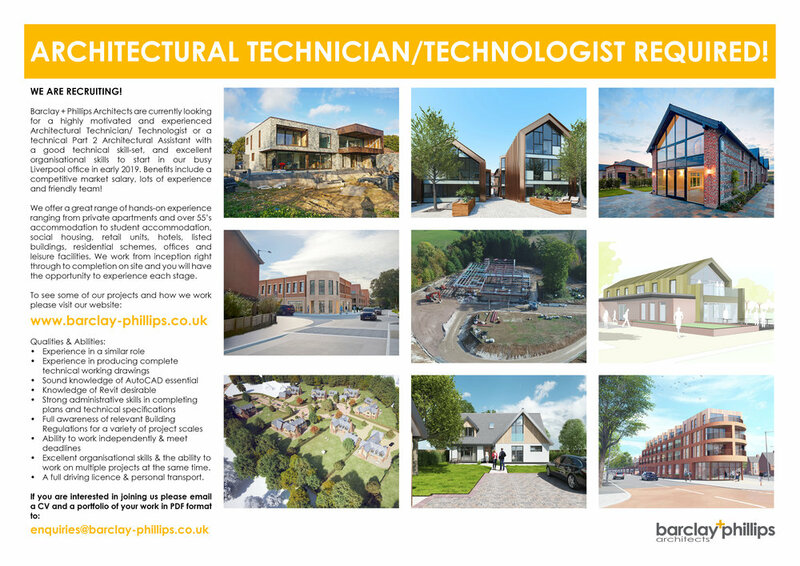 B+P are recruiting - Our busy Salisbury office is looking for an enthusiastic Part 1 Architectural Assistant. Key skills required are a passion for design and presentation, along with proficiency in AutoCAD, Photoshop, InDesign and SketchUp. A driving license and personal transport are also required due to our semi rural location. We have an opening for a Part 1 Architectural Assistant at our Liverpool Office. Key skills required are a passion for design and presentation, along with proficiency in AutoCAD, Photoshop, InDesign and SketchUp.